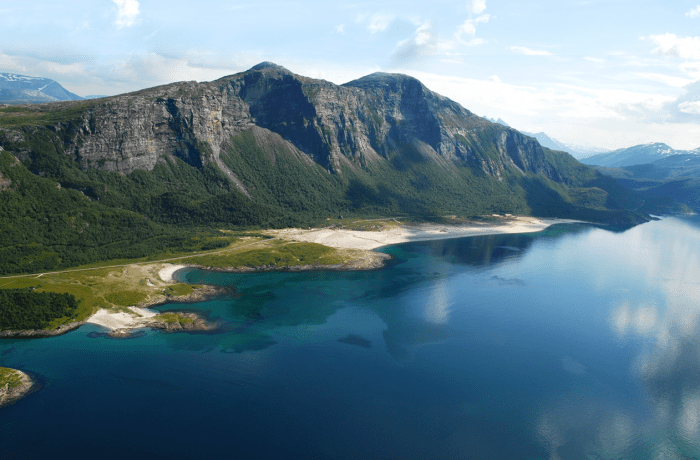 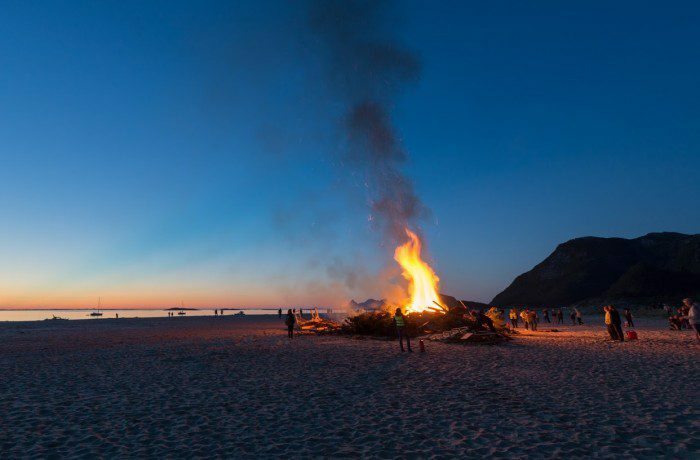 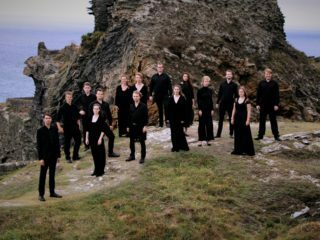 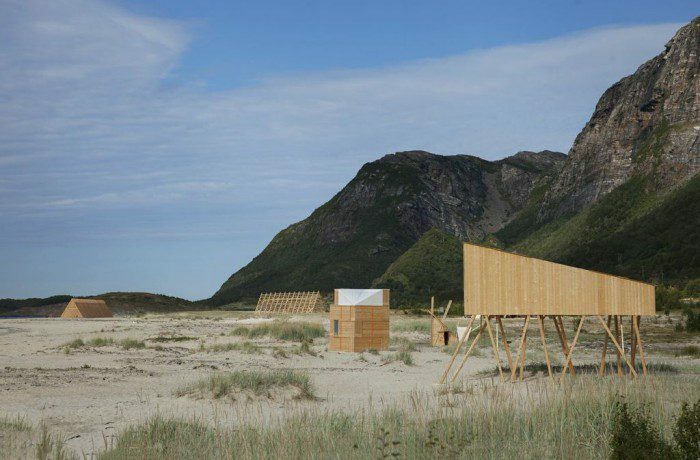 Taking place on the wild beaches of Sandhornoya, a remote island in the North of Norway surrounded by high mountains and the turquoise ocean, the inaugural SALT Festival presents a continuous arts diary for a full year, offering a series of cultural experiences in this astonishing landscape. 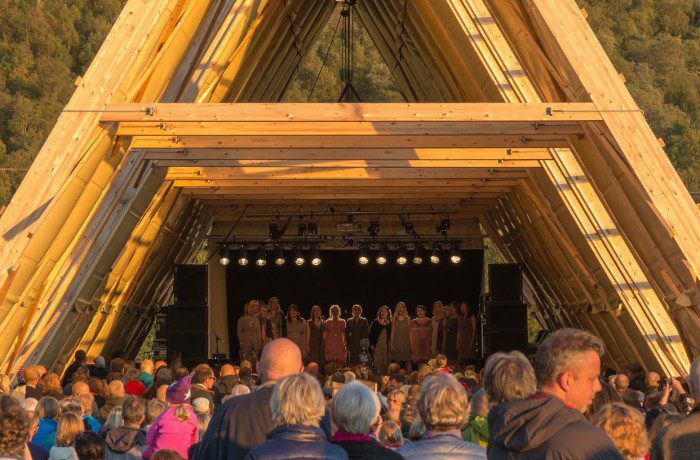 Encompassing art, music, architecture and food, the festival follows the traditional nomadic practices, working with the rhythm of the seasons and making little mark on the landscape. 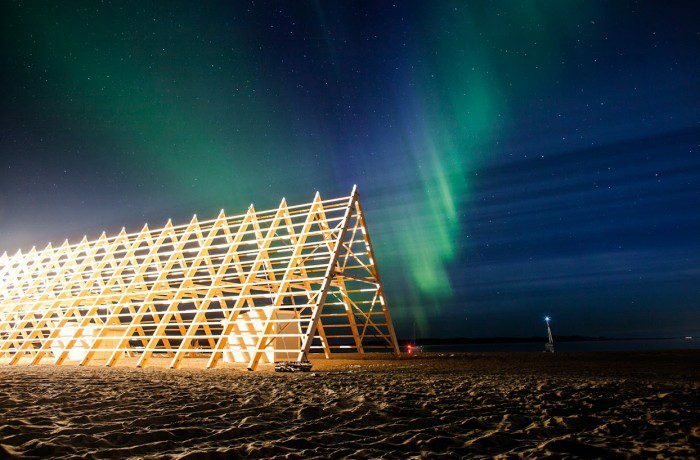 Sami Rinalta of Rinalta Eggertsson created the Festival’s striking architectural structures, which are based on the ancient fish drying racks, once used to dry cod. 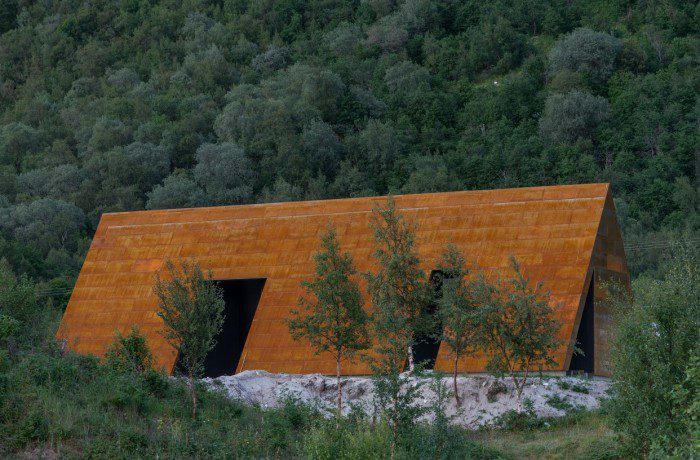 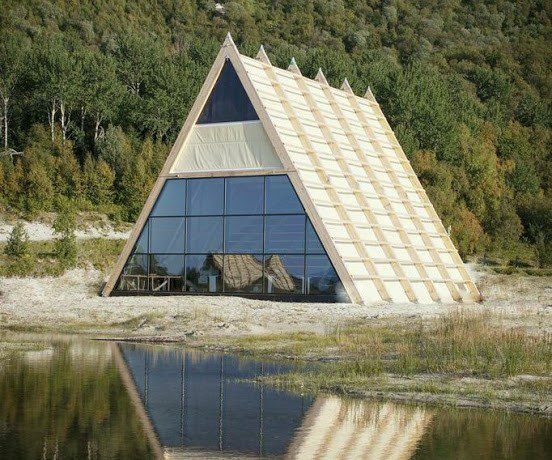 Visitors move between these ‘Archtic pyramids’ where they can experience film, music concerts, local seasonal food and beer, and the world’s largest sauna. 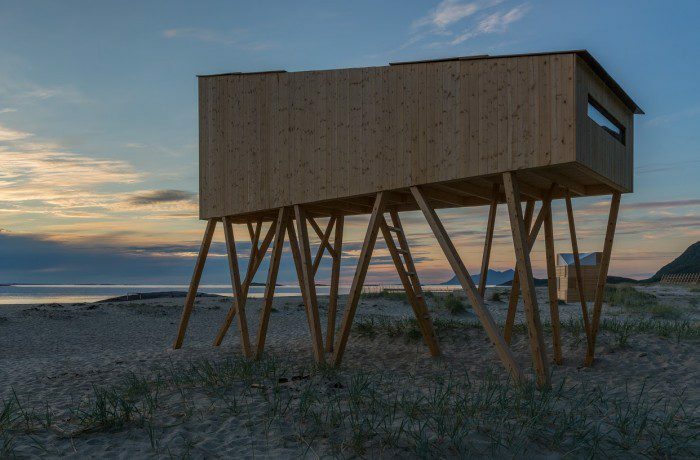 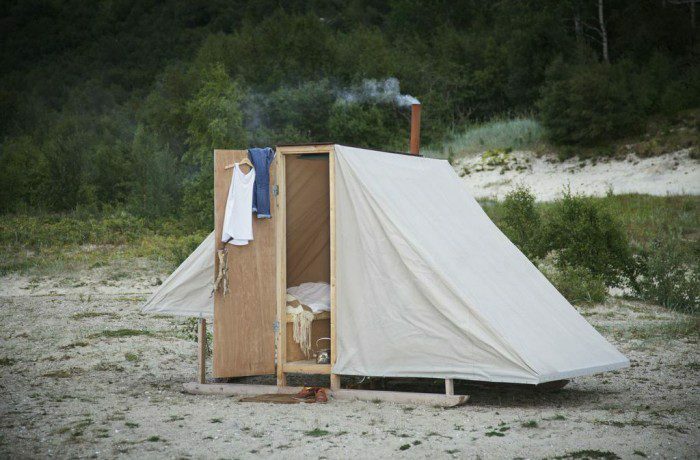 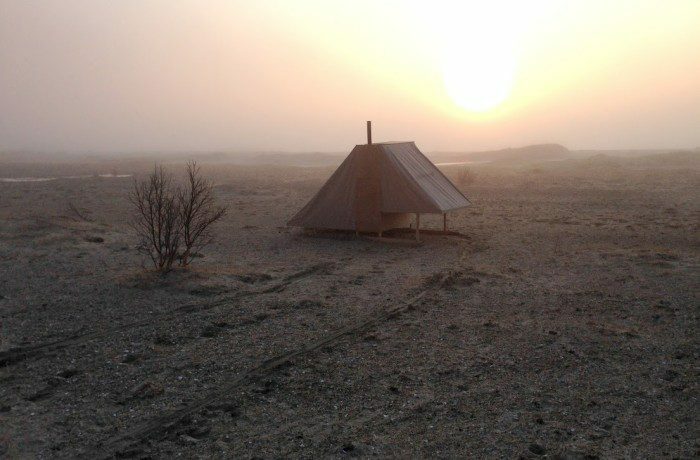 Joar Nago, a local Sami artist and architect, has designed seven tent like structures for visitors to stay in. 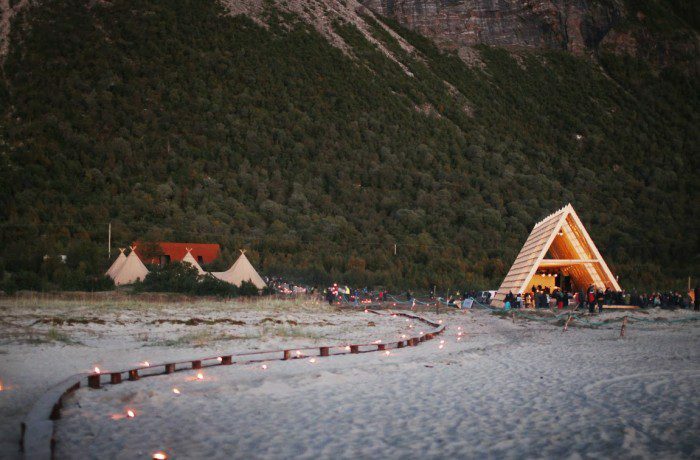 Based on Sami architectural practises, each ‘Njalla’, has a glass roof and is built on wood skis, to allow the inhabitant to pull their lodging around the beach and find the perfect spot in which to experience the midnight sun or northern lights. 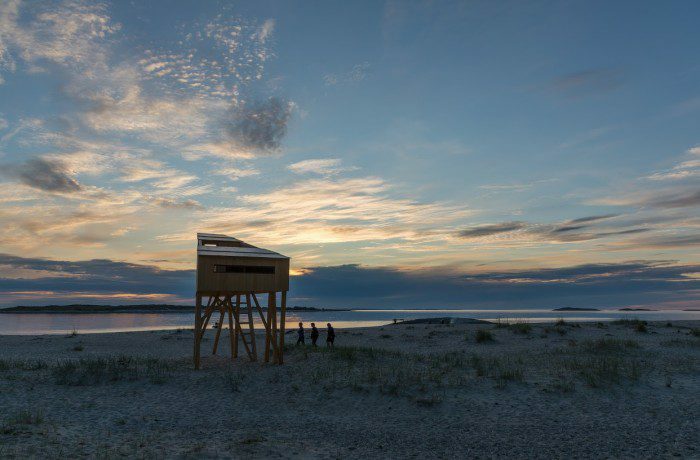 Open 5 days a week until 6 September 2015. 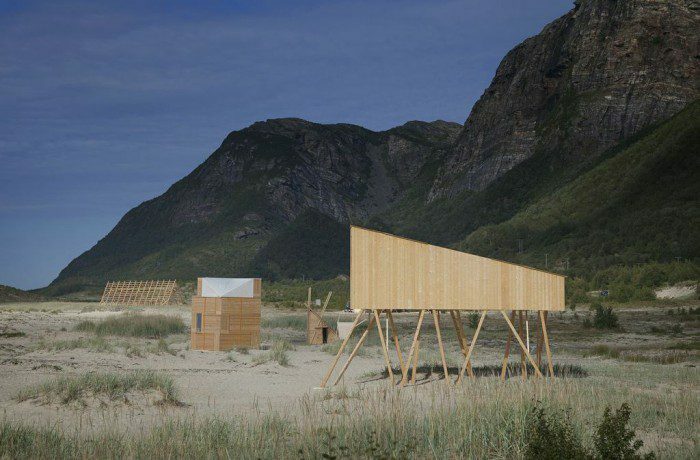 SALT will then travel to other destinations including Greenland, Iceland, Scotland and Alaska. 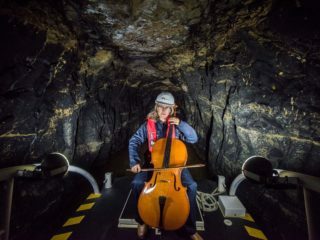 See the wonderful images from Salt in our picture gallery below. 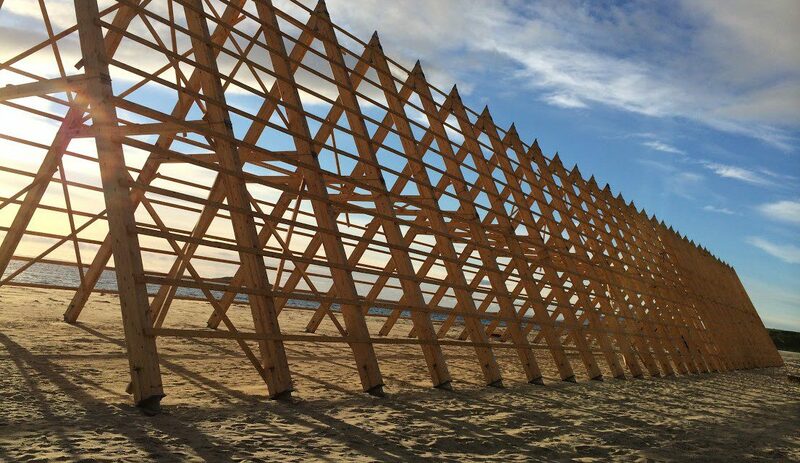 The structure is based on traditional fish drying racks, a nod to the area’s first dominant industry - exporting dried, salted cod.